This intriguing box contains the answer to a diabolical riddle -- or is it actually a clue for solving a future puzzle? I'm not telling. But, I will tell you how to build your own magnetially activated, locking Mystery Box. This can be used as a prop for an escape room, as part of a magic act, or even as a launching point for other locking effects. Not only is this effect mysterious and satisfying to use, it is also incredibly simple and efficient, using very few parts. In fact, it uses no microcontrollers and no programming. You can even use cold wire splices for no soldering! Thin sheet of cardboard, chipboard, luan, etc. 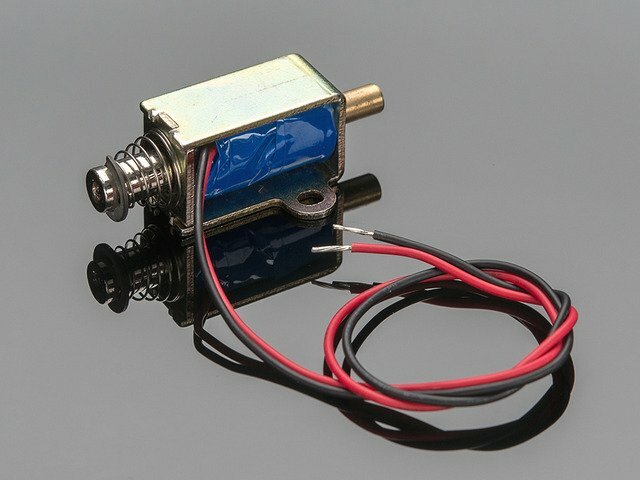 Solenoids are excellent for pushing and pulling small things. 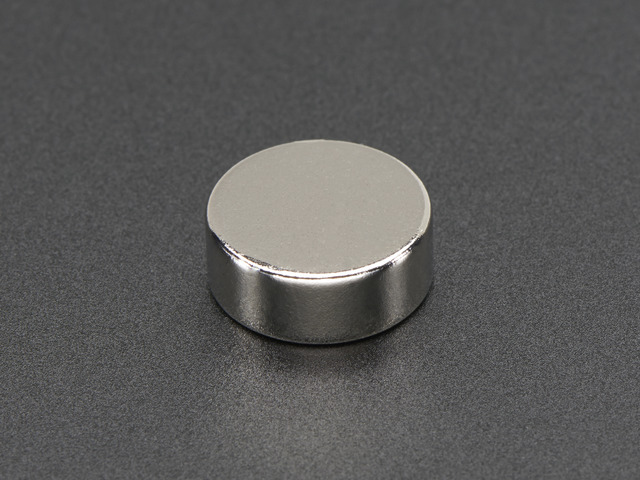 They are electromagnets that, when on, will push or pull a small metal slug a short distance. A built in spring is used to return the slug to its resting position when off. When arranged a certain way, the solenoid shaft will block the box lid from opening until the solenoid receives power, thus allowing the lid to open. The circuit used in the box is simple. 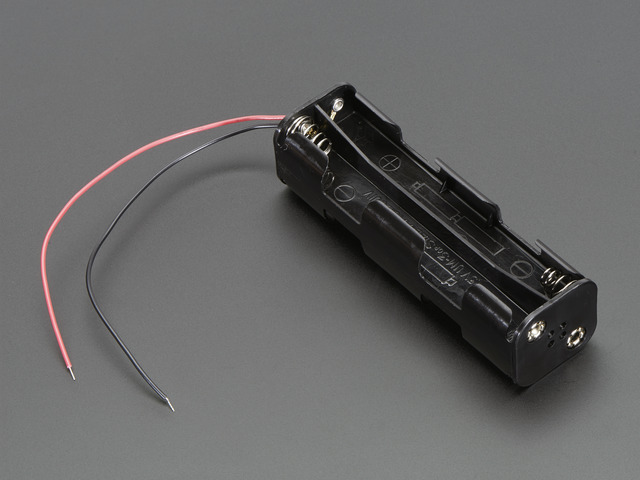 The battery pack ground (black) wire is connected to the solenoid ground wire, and the reed switch is connected on one side to the voltage (red) wire on the battery pack and on its other side to the voltage wire of the solenoid. This means the solenoid is normally off, as the reed switch is normally open, and when a magnet is placed close to the reed switch, it will close the circuit, and allow the solenoid to receive power. This is not meant as a robust lock box, it is a lightweight prop that could be easily smashed open should you store within it your most prized valuables. Don't do that. 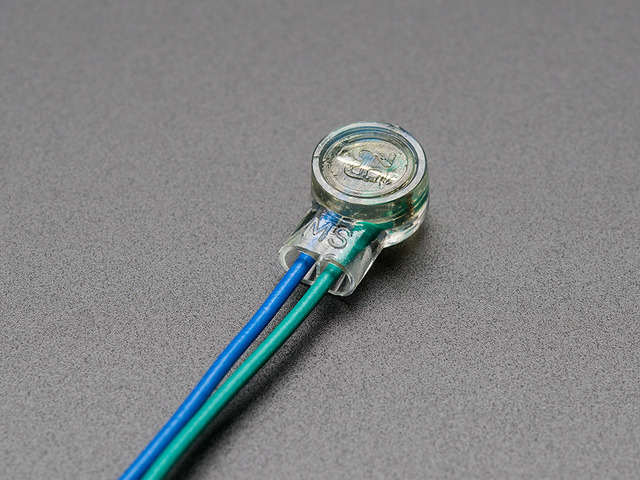 Now, try the same test, but with the reed switch inserted between the two red wires. When you move a magnet close to the switch, the solenoid will throw. This is the entire circuit for your mystery box! Next, we'll look at assembling the lock mechanism inside the crate. This guide was first published on Jan 08, 2017. It was last updated on Jan 08, 2017. This page (Overview and Circuit) was last updated on Apr 20, 2019.